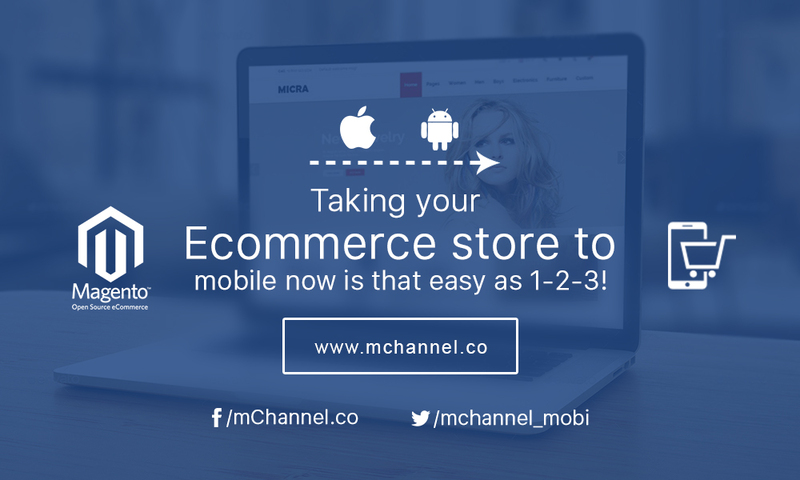 Developing an app for your ecommerce store is a piece of cake if you are choosing the right Mobile app builder in the market like mChannel. Another important aspect of mobile app development is marketing and reaching your target audience. If you are planning to have one of your own, your focus should be more on ‘what not to do’ than on ‘what to do’. However, there are several challenges faced by developers every time they start working on a new mobile app. We have highlighted the major challenges faced, and how we can overcome them at mChannel. We all know, there is immense competition in the mobile app market and honestly, it is crowded. And thus, there is constant pressure to create app that will get its attention. After all, no one would like to see their app lost among the other apps. Crafting an app that looks great and attractive is the key. It is essential to include graphics, usable features and intuitive designs in your app to provide a wholesome experience. The key point here is, make an app that add ease, simplicity and productivity for your customers. And that is what mChannel offers you. We will provide you with assistance from the scratch and ensure your ecommerce Magento app turns out the best and sophisticated among your competitors and reach your audience in no time. We believe in standing out of the box, and that implies with our Magento App development. The number of screens and devices are innumerable. And designing only for the latest platform is a big no-no. So the aim here is we need to build a Magento app that can run across as many devices as possible. Every mobile phone and its platform have different limitations based on their screen size, OS requirements, embedded technologies, pixel intensities etc. however, developing an app for the devices is not the only aspect you need to look into, and you need to consider the OS as well. iOS, Android and Windows- each of these main system has its UI objects and patterns. And also get prepared for bug fixing every now and then. Responsive Design is the key. It provides more liquidity to all the screens and thus, it can be adjusted to suit different formats and various screen sizes. The greatest example is Facebook. 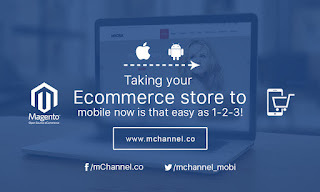 If you are joining hands with mChannel, we will deliver you with solutions that can deal with all kind of screen size, technical OS issues with marked testing phase and if you wish, we can release a beta version of your ecommerce app. Like your Magento ecommerce website, your app also needs to satisfy everyone’s needs and requirements, irrespective of the platform, screen size and OS. Another important point to be added in your Magento Shopping Mobile App is that interactions. They are essential as responsive designs. Smartphones are laden with high-tech sensors, thus offering a plethora of opportunities. So let’s make the best out of these sensors. However, creating interactions is time consuming and can be a major challenge to deal with while designing your ecommerce app. If you are considering interactions, plan it well in advance to save time during the design phase and aim for comprehensive app experience. At our end, we do not encourage our clienteles to limit their app with only tap and swipe gestures. We make the best use of buttons with various click options and also overlays, which are the best source to showcase additional information. mChannel consider in adding on more tangible interactions like titling, shaking and flipping to play, which allows the app to respond to position, direction and environment of the device. This is not the end of challenges. There are more to come and more of solutions as well. We shall talk about in our next blog till then keep reading our blogs and contact our developers, who are the best team to resolve your queries. Build Magento Mobile App with mChannel is not only the best thing you have opted for, but also the safer option you have choose. We don’t work like other mobile app development companies. We have a Demo App that allows you to see in real how your app will look, before our developers takes up the role of the actual development and customization. mChannel stand as the one stop solution service provider for the development and maintenance of the app. We believe in uniqueness, innovation and elegance of the smartphone app, and you will be able to see all of it in our designed app. Check out our sample app designed for Android and iOS platform, giving our customers an idea about our excellent work, team handling and creativity. Drop us your query or simply write to us to support@mchannel.co or call us +91 87540 26877.